The dwindling number of amyloid-targeting drugs in development for Alzheimer’s disease (AD) has been reduced by one more, after Biogen and Eisai pulled the plug on aducanumab. The two partners have decided to abandon two phase 3 trials of the drug after an interim look at the data by an independent committee concluded that neither was likely to show efficacy in slowing down the cognitive decline in AD. 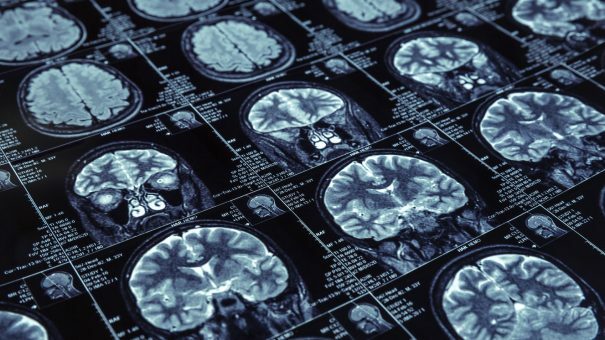 It’s a massive disappointment and another nail in the coffin of the amyloid hypothesis, which holds that blocking the formation of the amyloid plaques that characterise the disease could help prevent the accompanying degeneration of neurons. The fail had a predictable impact on shares in Biogen, which were down more than 27% in pre-market trading today, while Eisai also blipped down. Billions of dollars have been spent testing dozens of amyloid-targeting drugs in AD and without exception have failed to show any impact, despite attempts to give then earlier and earlier in the course of the disease. Meanwhile, the current array of drugs have limited effect in delaying cognitive declines. The two halted phase 3 studies – ENGAGE and EMERGE – were testing aducanumab respectively in patients with mild cognitive impairment due to AD and mild AD dementia. A mid-stage safety study and an open-label extension of a phase 1b trial will also be abandoned, said the drugmakers. The chances of a successful outcome were always slim, but with potentially massive rewards if aducanumab could show even a slight effect on AD decline, with analysts predicting multibillion dollar sales for a successful AD drug that could address the underlying pathology of the disease. Biogen has been hit particularly hard because it has invested so heavily in amyloid-targeting drugs and still has two other candidates in development. With aducanumab now defunct, its hopes lie with phase 3 candidate elenbecestat – a drug in the BACE inhibitor class that has already seen a number of failures – and its other amyloid-targeting antibody BAN2401 in phase 2. Analysts at RBC have now taken all AD-related revenues out of their projections for Biogen, leaving the biotech at risk of a pipeline void as it faces competition to its biggest products. That includes generics of multiple sclerosis blockbuster Tecfidera (dimethyl glutamate), which has already seen sales start to flatten as competition in the MS market heats up, as well as the looming threat to Spinraza (nusinersen) for rare disease spinal muscular atrophy (SMA) from Novartis/AveXis’ one-shot gene therapy Zolgensma (onasemnogene abeparvovec).